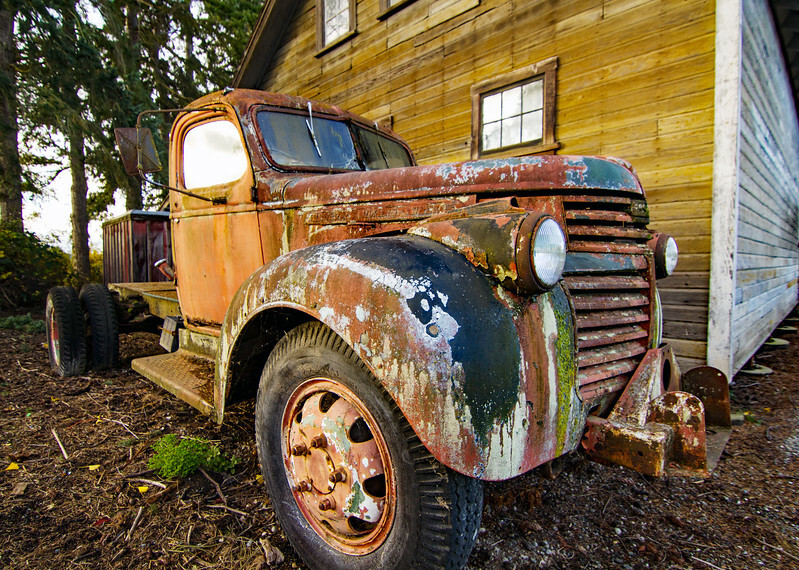 The weather has taken it's toll on this old truck. Rust and moss adds rich color tones. The break in the clouds lets in some sun to highlight both the truck and the old barn wood.